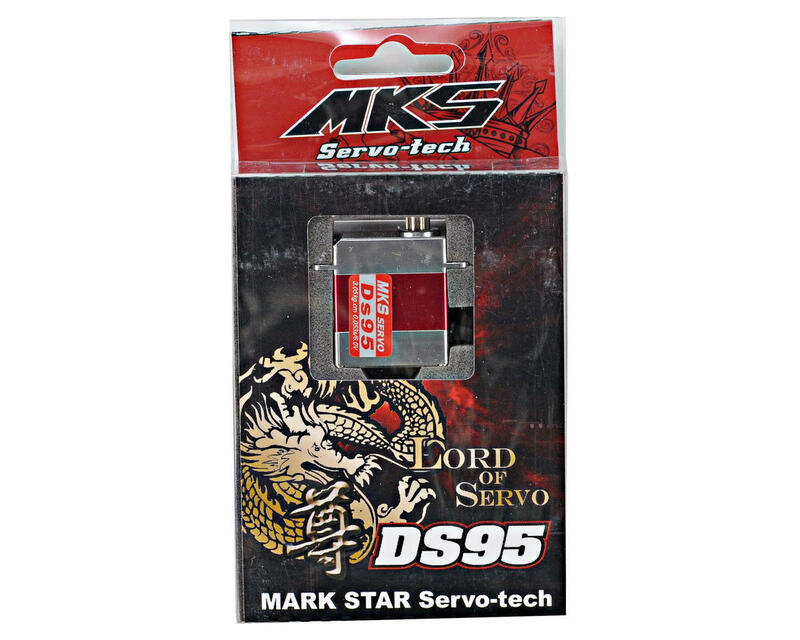 This is the MKS DS95 Titanium Gear High Torque Micro Digital Helicopter Cyclic Servo. With features that include a chrome/titanium alloy gear train, an aluminum center case, as well as an aluminum upper and lower case, this servo is practically bomb proof. Plus with .05 transit speed and 42 oz/in of torque @ 6 volts, the DS95 provides impressive speed and torque that makes it an excellent cyclic servo. Good servo while it works. After 9 months mine acts like stripped gears. Gears are fine so the assumption is a bad motor and NO LUCK at all hearing from MKS regarding what I can do to fix. For the price and the lack of service. This was a tail servo for a 450. I have learned since that there are as fast options out there at a fraction of the cost. It will certainly be the last MKS. Mine has since been replaced (and yes) with the Chinese version at a 1/3 of the price and same specs. When that goes out I have brand new spares that I will replace bad ones with without sweat. These servos are super fast, and they have a ton of torque. I cannot see them lag behind the transmitter stick, no matter how fast and how far I move the stick. 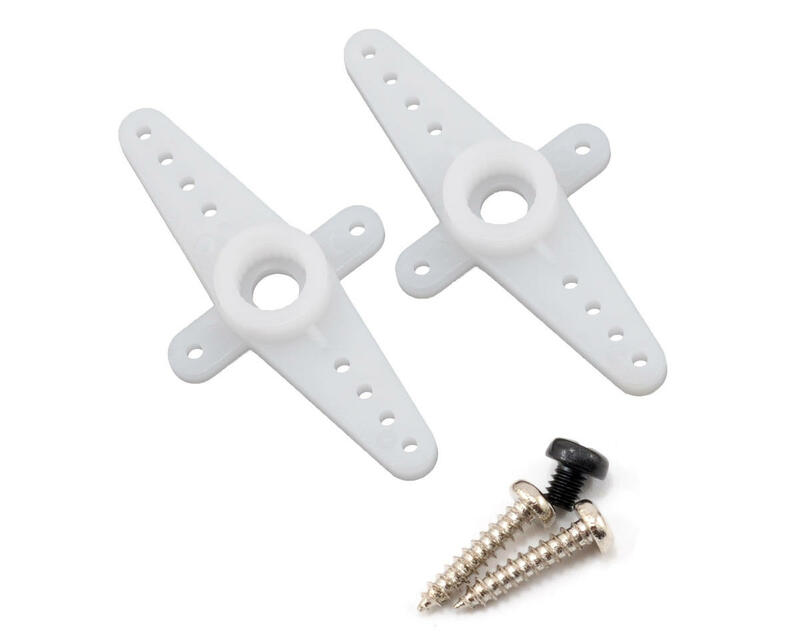 These servos are fast enough to be used as rudder servos, and on top of that, they have more torque than any other micro servo that I've ever seen. 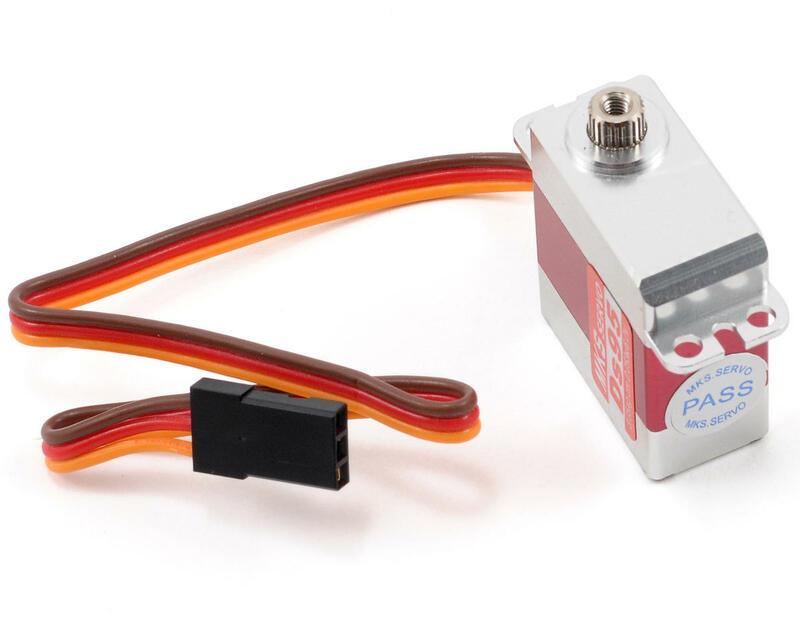 These servos are amazing, and they are well worth the price. WOW!!!! These are great! Super fast and CRAZY strong servos that are perfect for 450 class heli's and Extreme Flight 48" EXP's in this case. I am getting absolutely no blowblack during flights and get a super fast roll/tumble rate compared to the HiTec HS-65MG's and HS-85MG. I use them on all my surfaces. Even though they weigh 21g, the aluminum makes this thing practically bullet-proof! Thanks A Main Hobbies! I wanted to update my review on these after my experience. I do still think these are the best... BUT! Be aware these servos demand more power and mostly likely your speed control BEC of 3A is not going to cut it. If you want the power of these servos and for them to work reliably, you need an external BEC of at LEAST 5A continuous. This is coming from MKS themselves. Many people run higher BEC's than that with these. These servos can draw up to 2A each. I learned this the hard way.